In this article, I would like to explain the hidden esoteric meaning behind the allegorical mysteries in the story of the crucifixion of Jesus Christ. skull, Kpavlov. In the Vulgate the Latin word used is Calvaria and in English, Calvary. In the states here you will find many Christian Churches that are named Calvary Chapel (Chapel of the Skull). In the story of Christ’s crucifixion at Golgotha, we find that his ancestor, the biblical Adam was also buried at this same exact location known esoterically as “the place of the skull” and that when Christ was crucified, drops of his blood had fell onto Adam’s skull, restoring Adam back to life. 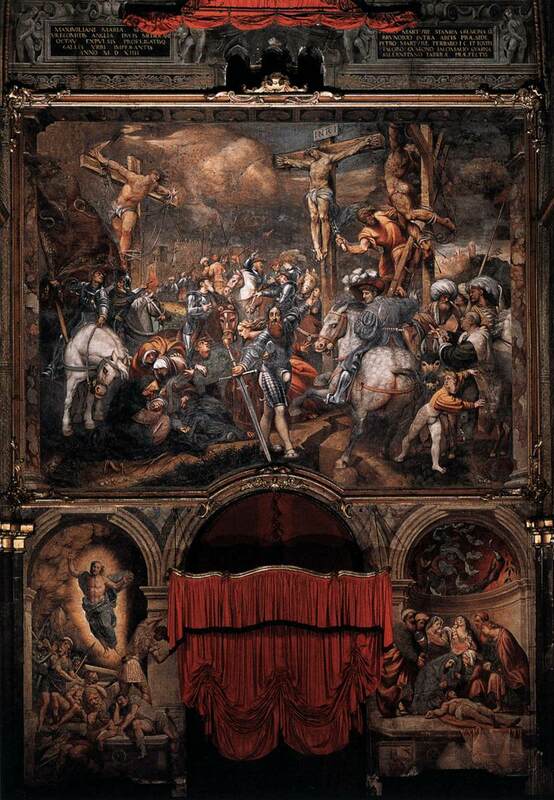 We can find many depictions of the skull in early pictures of the Crucifixion. Most all words and names in the bible have an esoteric meaning that conceal secret mysteries in allegory, so that the secrets of religion and life as we know it are kept hidden from the profane (the uninitiated). The intentions were not that of ill will, but necessary word play to keep secret; that which bears the most light, in order to one day use the same light to reveal that which has been kept hidden. Therefor, we all need to understand these esoteric facts when interpreting or translating the secret mysteries hidden deep within the bible. Words with secret meanings such as the one I have already established being ‘Golgotha’ and even the word ‘Christ’ which is derived from the ancient Greek Χριστός or Christós, meaning ‘anointed’ or “The Messiah,” (or mashiach) who is a king or High Priest. Christ is called the ‘anointed one and the messiah’ by the Christian priesthood simply by assigning the name of the Greek Christos to his persona as mentioned above, and by anointing him with oil he then become the High Priest and King. However, we all know that they killed the messiah by crucifying him on a cross in a place we already identified by the Hebrew word Golgotha (the place of the skull), that was assigned by this same priesthood as the place of Christ’s (High Priest/King) crucifixion. These other words crucified and crucifixion, are derived from the word Crucifix, a cross with the corpus (Body of Christ). The Christian cross is a latter version of what is now called the Tau of the Egyptians which is a symbol to represent the Logos. The word Logos we find the meaning is “Reason, or word of God” which then can be easily connected to what we know as gnosis. Hence, when it is said that Christ was crucified in Golgatha, this simply means that “The secret teaching of the ages of the high priest, the Amon, and king of reason located in our brains was allegorically killed and the mysteries hidden from the profane. The Word became flesh and made his dwelling among us. We have seen his glory, the glory of the One and Only,[a] who came from the Father, full of grace and truth. John testifies concerning him. 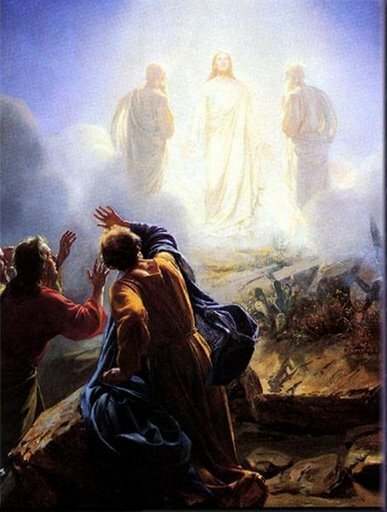 He cries out, saying, “This was he of whom I said, ‘He who comes after me has surpassed me because he was before me. The story of Jesus Christ being crucified in Golgatha is a latter version of a famous Greek legend that had originated in approximately 547 B.C., that can be found in the story of Prometheus who was also crucified. The story of the crucifixion of Prometheus of Caucasus has been passed down to us by historians such as Seneca, Hesiod, along with other writers; who had stated that Prometheus was nailed to an upright beam of timber, to which were affixed extended arms of wood, and that this cross was situated near the Caspian Straits. 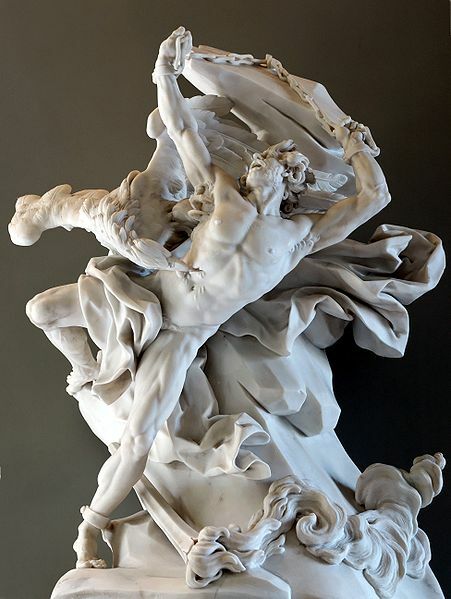 The Greek Prometheus is a Titan, and trickster figure who is credited with the creation of man from clay and the theft of fire for human use, an act that enabled progress and civilization. He is known for his intelligence, and as a champion of humanity. For this reason, Zeus, the King of Gods had him crucified and had banished him just like Lucifer, who we know was cast out of heaven. The Greek promethius (pro-mathius) I have found that in Greek means pro (before) methius (mathias) “Gift of God.” The name Methius is derived from the Greek Ματθαῖος or the Latinised as Matthaeus, which became Matthew in English and of course the Biblical Mathew. Hence, the word Prometheus represents intelligence, reason and our Gifts from God, in which we then become champions of humanity. intelligence’ of ourselves (KNOW THYSELF) was kept hidden (crucified or put to death or darkness) by the same priesthood until a later date, when a prophetic time would arise and when all the signs would indicate it was indeed a time of revealing the true mysteries of the Bible that would finally come to the light. A time when the prophesied lost secrets of this reason and intelligence would not be a threat to the establishment of the state and church. A time when crucifying this truth would serve no purpose because the Temple of Solomon has already been built. A time of great revelations that we are witnessing today as we live in a biblical time that is known as the Apocalypse. Like Jesus and Prometheus, we too can live in the light by becoming messiahs and kings of our own bodies, minds, souls and spirits in order to reach our full potentials of intelligence and reason, so that we can best serve humanity. These are glorious examples for us all, of legendary men who in story had lived in the flesh by walking the right path in life by living in the light of truth, reason and love for all. By Maurice “Moe Bedard” on the month and day, 3/3/ via the year of the 6th Age, 20-13 in the Apocalypse.